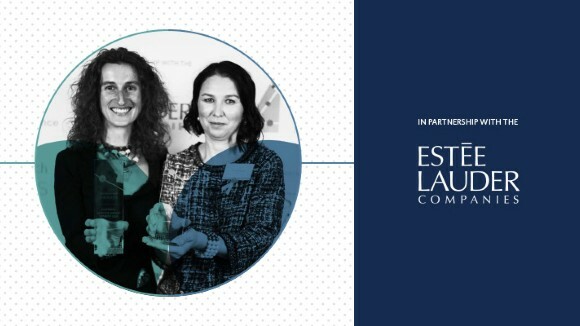 Nature Research is proud and excited to announce the 2019 Inspiring Science Award and Innovating Science Award, in partnership with The Estée Lauder Companies, are now open for applications. Nature Research has always strived to support gender equity and to showcase the work of female researchers. The aim of the two Nature Research awards, in partnership with The Estée Lauder Companies, is to celebrate and support the achievements of leading women in science, and of those who have encouraged girls and young women to engage with STEM subjects around the world. STEM includes natural sciences, social sciences, mathematics, engineering and medicine. The Inspiring Science Award is an annual award for early-career female researchers or academics. The successful applicant will have made an exceptional contribution to scientific discovery and the literature, sometimes despite challenges relating to resources, location or language skills, and will exhibit the potential for developing and leading an independent research group. We are particularly interested in applicants who have made a considerable effort to inspire the next generation through outreach, and especially those who have encouraged girls and young women to engage with science. Applicants must be female or self-identify as female. We use an inclusive definition of ‘woman’ and ‘female’ and we welcome trans women, genderqueer individuals, and non-binary people who are significantly female-identified. Applicants must hold an MD and/or PhD degree, or other types of doctorate by dissertation. A PhD or doctorate by dissertation is a globally recognized postgraduate academic degree awarded by a university or higher education institution to a applicant who has submitted a thesis or dissertation, based on extensive and original research in their chosen field. Completion of their PhD (or MD) is defined as the date the PhD (or MD) or doctorate by dissertation was approved by the university panel following submission of your dissertation and/or oral examination is considered the date your MD/PhD was received, whether or not this coincides with your graduation. The abovementioned 10 years will be extended by any maternity leave(s) or other relevant leaves of absence. Therefore the 10 years does not need to be continuous. Details of these leaves will need to be specified during the application process. If applicants hold both a PhD and an MD degree, the graduation date of the latest received will be used. Applicants must hold a non-tenured position. This includes those who have non-permanent postdoctoral and/or non-permanent tenure-track positions (or equivalents such as proleptic lecturer positions). Those in a tenured position (or equivalents, such as permanent lecturer position) are not eligible to apply. We accept applications from those working in natural sciences, social sciences, mathematics, engineering and medicine. Applications will be assessed by our expert judging panel consisting of staff from Nature Research, independent experts and experts from our corporate partner, The Estée Lauder Companies. Each award will have a separate judging panel. Panel members will review applications to create a shortlist of applicants for each award. The full panel will then meet to discuss the merits of shortlisted applicants and select the winner. The judging panel will make up 100% of the votes. The chief judge will make the final decision in the event of a tie. The Innovating Science Award is an annual award for an individual or a group from across academia, education, organizations and corporate entities who have set up or run grassroots initiatives that support girls and young women to study, engage with and enjoy science. We accept applications from individuals and groups. If applying as a group, please select a spokesperson who will be listed as the named winner and receive an invitation to the award ceremony. Additionally, a contact person can be selected to manage any administration-related queries for the application. We are looking for an individual or a group who has made an exceptional contribution to the promotion and engagement of girls and young women in natural sciences, social sciences, mathematics, engineering or medicine, and exhibits the potential for developing and encouraging more girls and young women to study these subjects. The focus is on engaging more primary- and high-school girls, rather than on career progression for those already engaged in science. The applicants will have demonstrated the ability to go beyond the ‘norm’ and worked hard to encourage, support or promote the interest of girls and/or young women in science. Please note the grassroots initiative can be a day-job or an additional project (if it is an additional project, the amount that can be achieved alongside a full-time job will be taken into consideration).